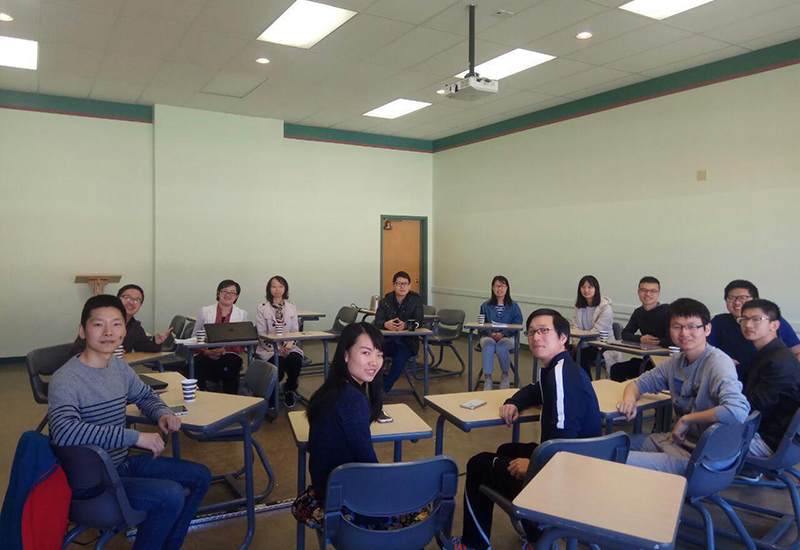 Recently Olivet Institute of Technology (OIT) San Francisco campus invited Google developer Lenjoy Lin as a guest speaker to share with students about IT startups and the innovative spirit of Silicon Valley. Lenjoy Lin has worked at Google headquarters, Pinterest, and currently Houzz.com. He spoke about the best practices of programming, the importance of mastering Math for algorithms, technology trends in machine learning, and tips on how to create a startup in IT. As a software engineer, Lin worked on we search indexing at Google and data processing infrastructure for ads on YouTube’s platform. He continued to work on mathematical modeling technologies for Pinterest, including ML model, auction experiments, reviews, and data science works. The IT program at Olivet University encourages students to be creative and innovative in improving life and working environments through innovative technology. The lecture inspires students to engage in practical projects that spur ideas for new IT services or products. Lin’s sharing has given students invaluable insight into the real world by balancing ideas and overcoming challenges that block you from achieving your goal. OIT plans to host more IT experts from Silicon Valley to help students prepare for their careers. Lin’s lecture supplements several concepts in OIT’s OOP course and related assignments.